It's clear Beacon has more to offer than any other fitness facility in the area. You can learn about CrossFit and our approach at Beacon with no commitment by signing up for our free introduction. Simply provide us your contact information so a Beacon coach can follow up with you about your goals and questions. Click here for your opportunity to try Beacon for free. Getting started with CrossFit requires a strong foundation where you learn new movements and skills that you'll be using in classes. Because every individual is unique, we offer Foundations as private coaching sessions with one of our coaches, typically scheduled over a week. This allows for the individualized attention that you cannot get in a group foundations atmosphere. The coaching and guidance you receive during these private sessions focuses on how you perform, ways to improve your mobility and range of motion, and most importantly, you get the skills and technique to stay safe as you start challenging your body in new ways. The private coaching sessions are provided for a one-time $200 fee which also includes two weeks of unlimited class membership. Following your private coaching, we ask you to make a 90-day commitment at a discounted cost so you can realize the benefits of Beacon's unique program. 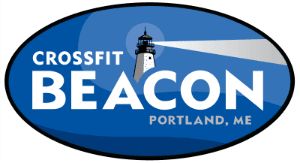 CrossFit Beacon offers a flexible approach for our athletes to customize their membership to their needs. We offer the three-day per week options for those using CrossFit to supplement their running, cycling, triathlon, skiing, or other athletic interests. These options also work best for our members that travel for work or have other scheduling limits. When members are looking for significant changes in their fitness--weight loss, muscle gain, and/or injury recovery and prevention, the unlimited membership works best. In addition to the options listed, we also offer customized memberships to fit our members' needs. Please contact our team for more information or to discuss your specific needs and interests. Membership fees are deducted on the 1st of the month. One month written notice for cancellation is required. If fewer than 30 days are provided, members may opt to continue the following month, convert the fees into a punch pass, or apply the credit upon reinstating membership in the future. There is nothing better than seeing couples and families CrossFitting together. It reinforces the family's shared experience and makes everyone rocking healthy along the way. See a coach for pricing on family memberships. Teen Athlete Training punch card passes are available at a rate of $110 for 10 classes. Please contact Coach Tyson for more information. If you are visiting the lovely Portland Maine area and have CrossFit experience, please visit our Drop-Ins page for details. You get a lot of individual attention during classes, but some athletes want to go that extra mile and invest in additional one-on-one time. Personalized training is by arrangement only and is an extra fee per hour.